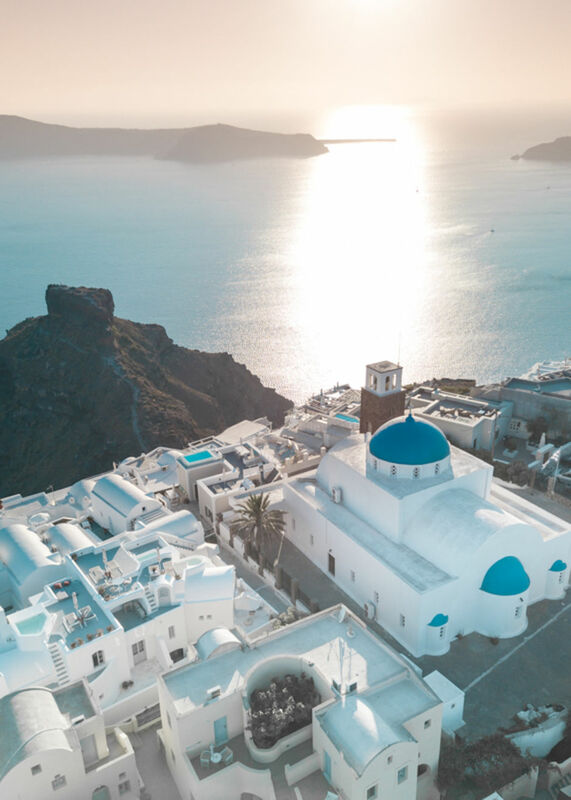 THE MOST FAMOUS of the Cyclades Islands in the Aegean Sea, Santorini was formed by a massive volcanic eruption thousands of years ago, and it’s living proof that magic can come from chaos. 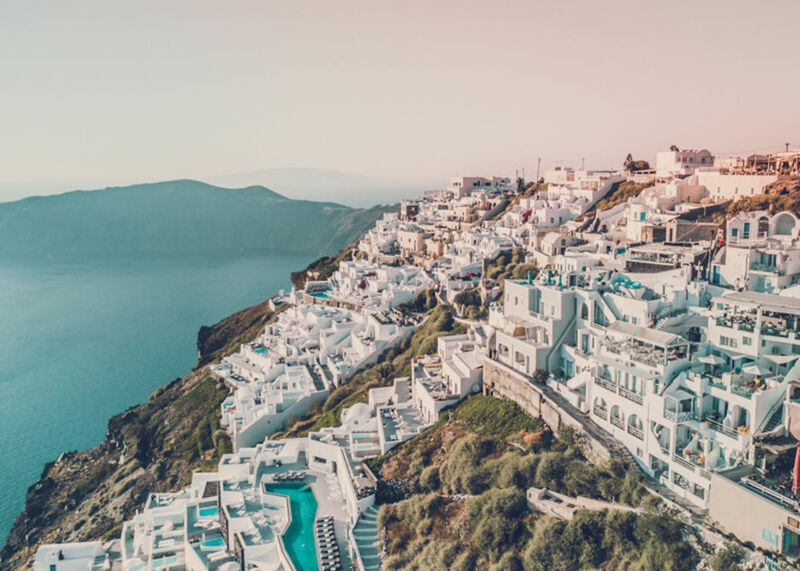 Take a look at Santorini’s whitewashed houses, scenic sunsets, and beautiful caldera views through this set of amazing pictures to ignite your wanderlust. For more couples’ travel advice, follow Collette and Scott at Roamaroo. Blue and white are the colors of the Greek flag and also the colors of the houses in Santorini. Each house and hotel is carved into the side of the caldera, creating a dramatic and unique view from every edge of the island. It’s difficult to decipher when one blue ends and another begins in Santorini. Your very own balcony to the Aegean in Imerovigli. 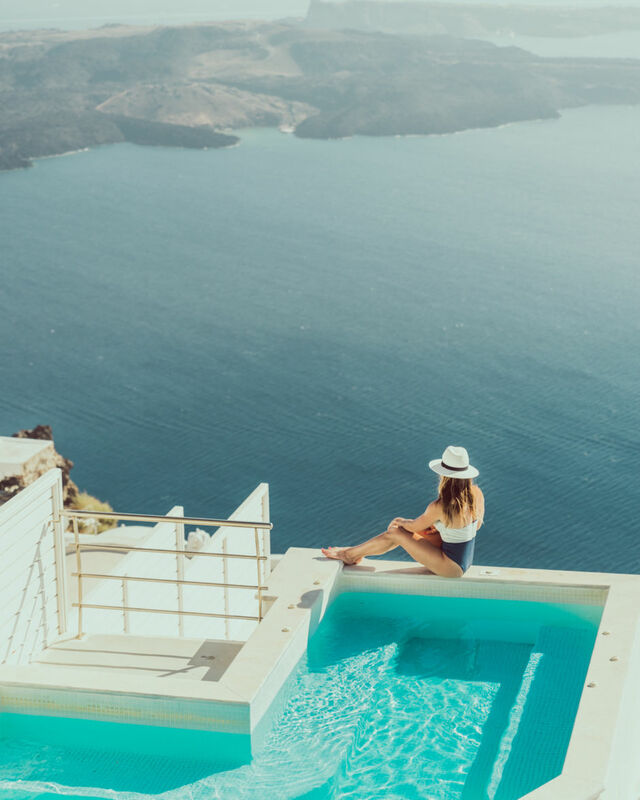 This small city in Santorini has only 470 inhabitants, but it’s home to some of the top hotels in the world. 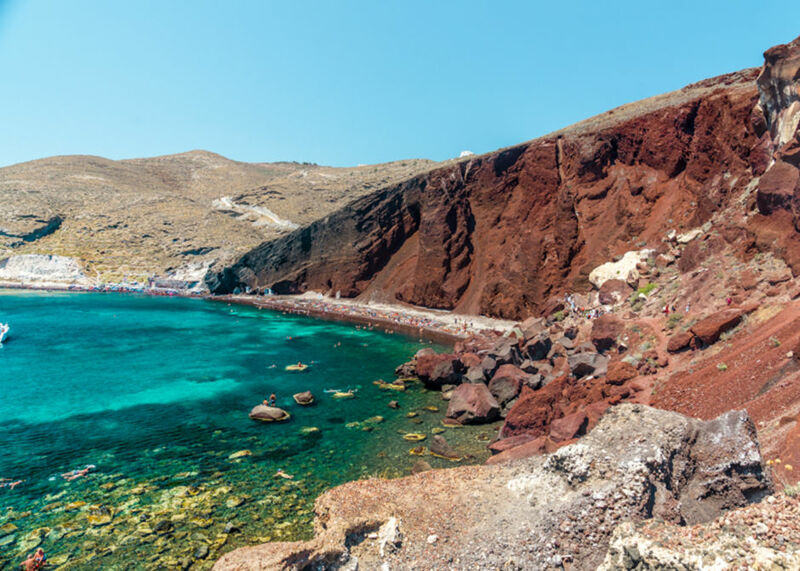 The Red Beach of Santorini gets its name from the volcanic red rocks and soil. The red appears even brighter in contrast with the Aegean blue. There are no bad views in Santorini. Every single restaurant and café appear to be taken straight out of a postcard. 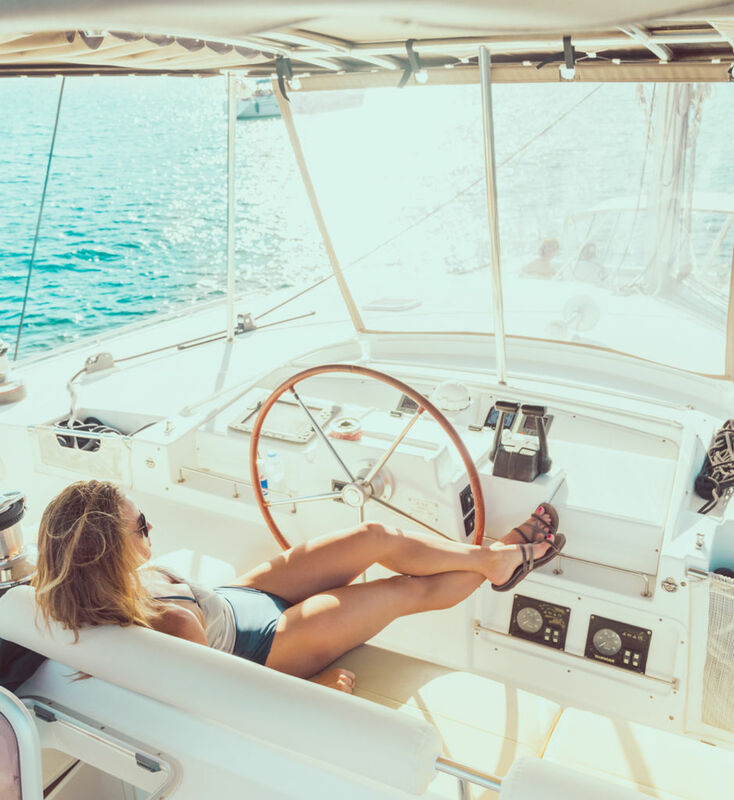 Sailing the caldera is one of the finest ways to see the island of Santorini. It takes around five hours to sail around the volcanic island. 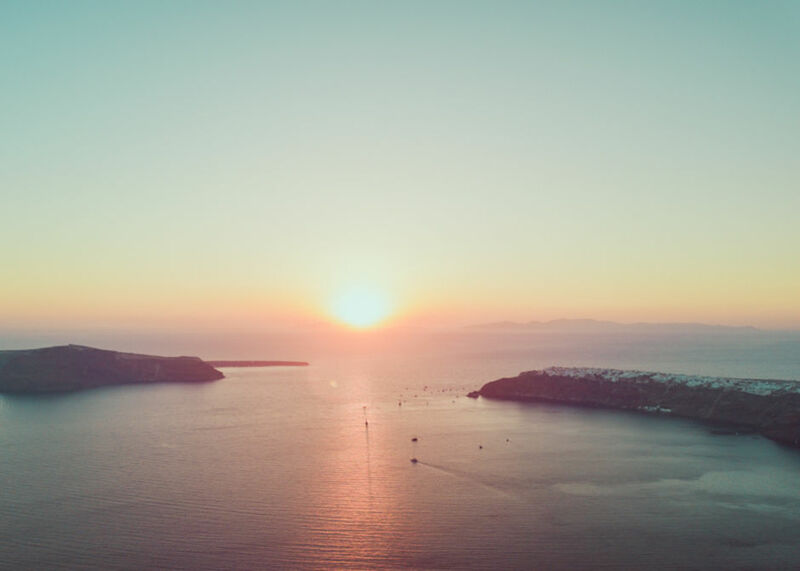 Santorini is known for its sunsets. The summer sun turns the whitewashed houses to hues of pink and orange. 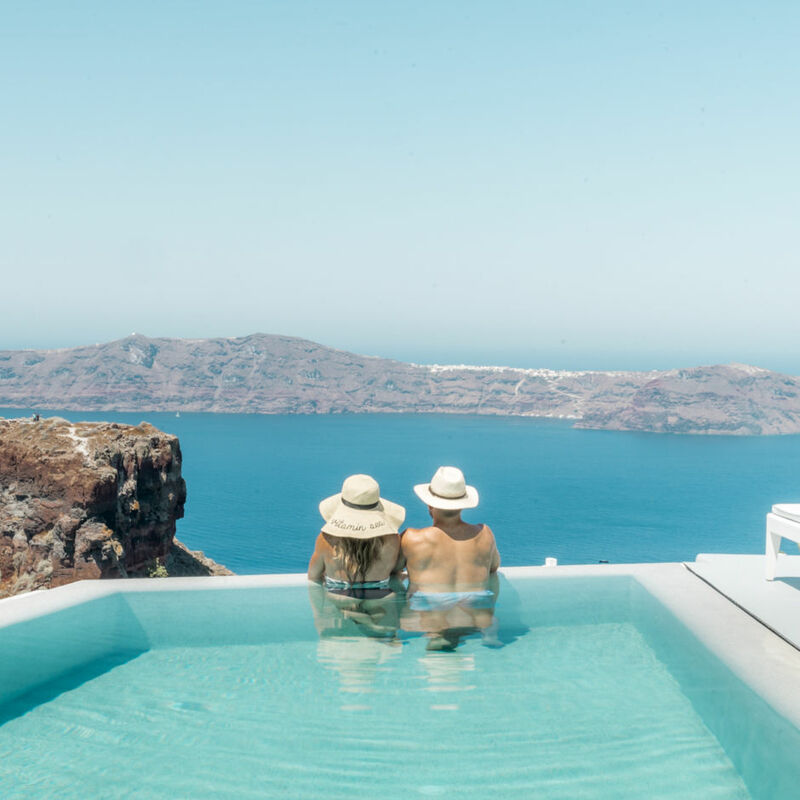 The island has hundreds of infinity pools with many offering an unparalleled view of the Aegean Sea. The island is definitely a place for water lovers. 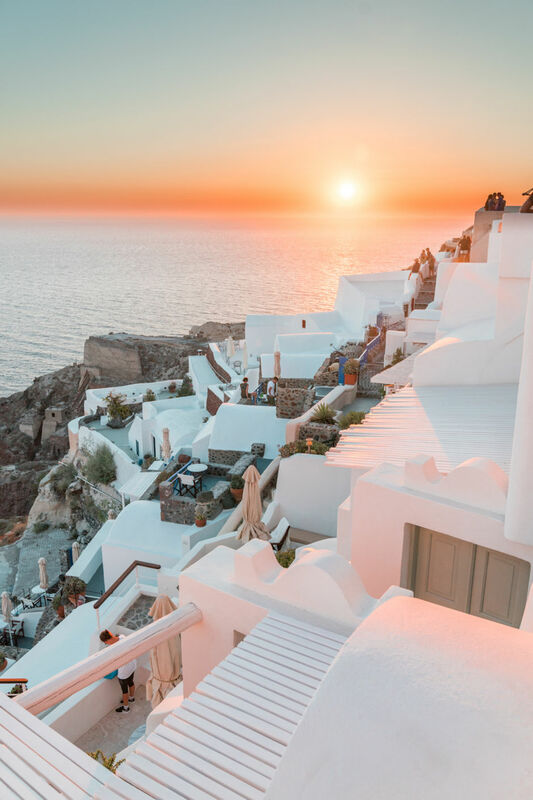 Santorini is also for (sunset) lovers. Here life seems to move a little slower and the sunsets seem to last a little longer. The view of the sunset and Skaros Rock as seen from Imerovigli. Skaros Rock was home to the first fortress built to protect from Pirates in the 16th Century. 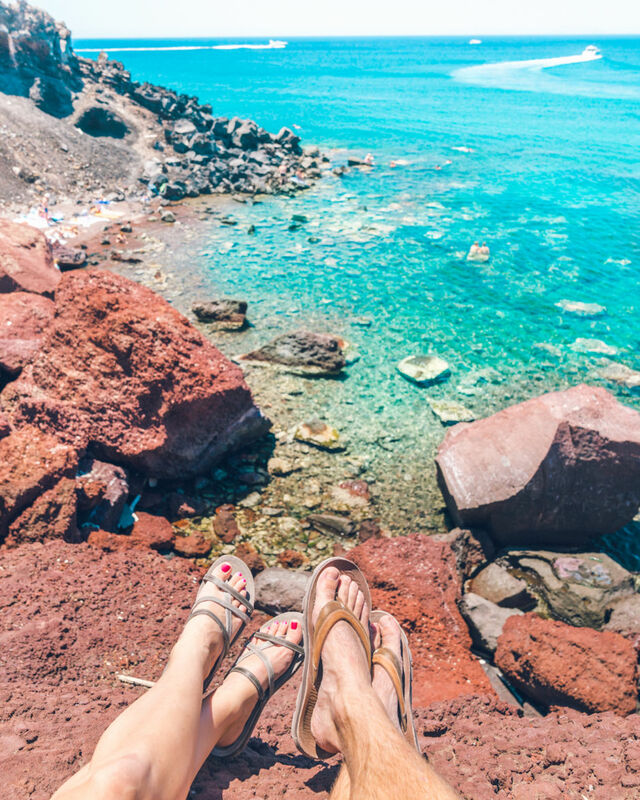 The Red Beach is a must-see on any visit to Santorini. The small stretch of red pebbles on the beach is surrounded by sky-high red volcanic cliffs. As the sun dips below the horizon and into the Aegean Sea, the viewer is greeted with a gorgeous glow that wraps around 360-degrees.